You are here: Home / Health / Diabetes / Are you Diabetic? Do you have diabetes? If you do, or even if you are just prediabetic, you need to take action. Diabetes is a very serious disease. It will kill you. If you don’t take action you will die from diabetes. I can just about guarantee that. I was diagnosed with diabetes in 1992. I probably had diabetes for years before that, but just did not know it. Starting in 1992, once I knew that I had diabetes, I went to some classes to learn what I needed to do to minimize the disease. But, the truth is, I really didn’t take much action. Furthermore, the real truth is that the things that the medical profession taught about diabetes at that time (and many medical professionals still do not understand diabetes) were just dead wrong. Dead is the key word there. They taught you to eat a “balanced diet” with about 60% carbohydrates. If you have diabetes, the carbohydrates are what will kill you. The carbs are what will make diabetes worse. Will it really kill you? Well, as I said, I was diagnosed with diabetes in 1992. In 2001 I had a stroke, I was only 39 years old. I nearly died. At the time that I went home from the hospital I could no longer speak, I had to relearn how to talk. I also could not walk, even with a walker. I had to learn how to walk again. After around 2010, I developed many diabetic ulcers on my legs. Having one of these diabetic ulcers can quickly lead to needing an amputation. In the course of a year, I would get four or five of these diabetic ulcers. Thankfully, I had a friend who was a doctor, and he would come to my house to help me beat these ulcers back. These ulcers continued until around 2016. I took action which put an end to them, I will talk about that later in this article. In June 2016, I had a heart attack which was attributed to having been diabetic for nearly 25 years. My father was diabetic, and he died of a heart attack when he was 55 years old. I was 54 when I had my heart attack. Thankfully, I survived it. In November 2016 I had a quadruple heart bypass operation. The doctor told me that I was within days of death. Thankfully, I had my surgery, and I made major changes to my health and I don’t think I will ever have a heart attack again. After my heart bypass, in January 2017, I heard about a fellow named Dr. Jason Fung. Every doctor I had ever heard of in my life told me that diabetes was an irreversible disease. It was a chronic condition that only kept getting worse over time. Basically, there was no hope. I started watching videos by Dr. Fung on YouTube, and the doctor was telling about how you could reverse diabetes. I could not believe it, and I wondered if he was a kook. But as I thought, I figured “what do I have to lose?” If I kept moving in the same direction that I had been going over the past 25 years, I would probably die in a relatively short time. So, I studied what Dr. Fung was saying. Start doing some intermittent fasting. If possible, do some extended fasting as well. Dr. Fung gave me the motivation to do these things, and I got very serious about it in 2017. 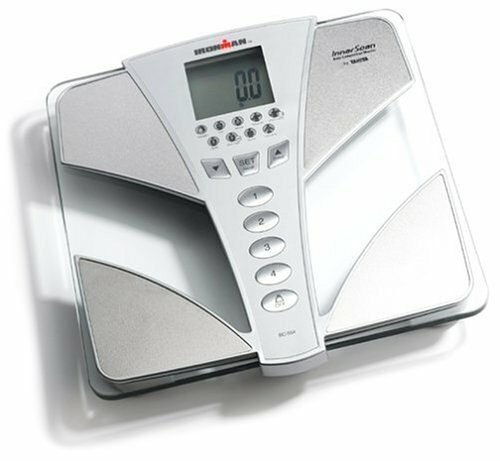 By the end of 2017, I had lost 200 pounds from my peak weight. My peak weight was 430 pounds, and I was down to just under 230 pounds. I felt great. Want to know what one of the best things about it was? I officially no longer had diabetes. Based on the numbers when I have a blood test, it has been more than a year now since I kicked diabetes. You can do it too. I know you can, and it’s not that hard. A lot of people say that fasting is hard. What do you think is better, fasting for a few days, or dying when you are still young? If you think that fasting is harder, ask your kids or your spouse what they think. Recently, I was going back and doing more research about Dr. Fung, and I found that he has a new book out. This is his third book, and the title is The Diabetes Code. In this book, Dr. Fung outlines what you need to do to get rid of diabetes. I know that you have been told all of your life that you cannot get rid of diabetes, but that is simply not true. I know for sure that you can because I did it myself. And do you want to know something else? It really was not very hard to do in fact, in less than a month after I started doing the things that Dr. Fung recommended, my diabetes was gone. For a year now it has not come back. My blood sugar is very low, probably lower than most people that don’t have diabetes. I also feel great and am looking forward to a long life ahead. Just a few years ago, I didn’t think that my lifespan would be more than a few more months. Now, I seriously think that I could easily live another 30 years. I am 56 years old, and I feel like I’m in my 20s again. It’s hard to argue with that. 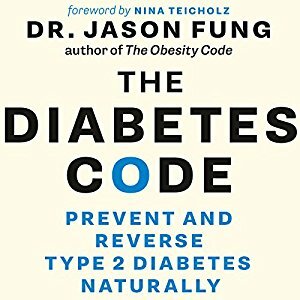 If you have diabetes, I believe that you are doing yourself an injustice if you do not buy a copy of The Diabetes Code by Dr. Jason Fung. I promise you that it will change your life, and it will do so for the better. I guarantee that. I am very sorry to hear that! That is not good! Bob, congratulations! You have been an inspiration to many I’m sure. Glad to hear everything is going great. I’ve incorporated some of things and plan on doing more. Thank you very much, JC, and good luck to you as well!